If someone asks me if I love wine? 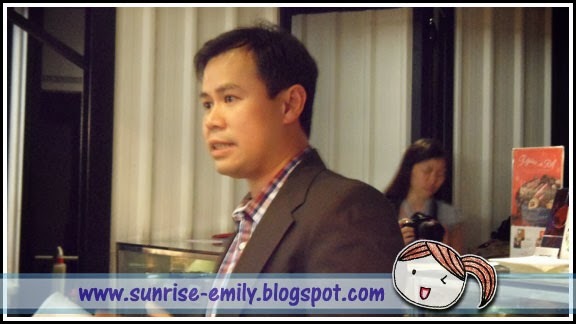 My answer is certainly yes!So I was on cloud nine when I was invited to a closed door wine + chocolate pairing event hosted by Nam Lee Cheong, Malaysia's oldest and largest homegrown importer and distributor of wines and spirits. 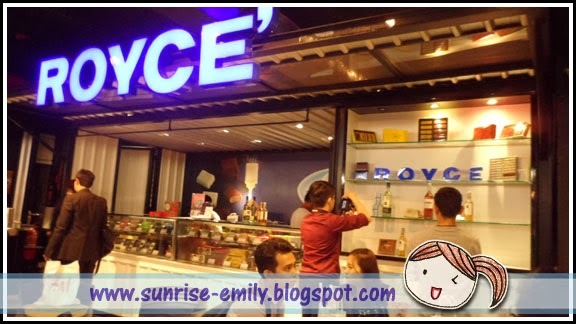 The event was held at Royce in Ben’s Independant Grocer, Publika. This was my first time being here. After a while, the session started with welcome speech by Mr Leong Keng Mun, Managing Director of WineShop.com.my & Nam Lee Cheong Wines and followed by his guidance as how to expertly pair chocolate with wine, creating new and unique tastes which delight the senses. "Some say pairing wine with chocolate cannot be done, but if you experiment and take a bit of time to find the right wine to complement the chocolate, the rewards will be well worth it" shared Keng. 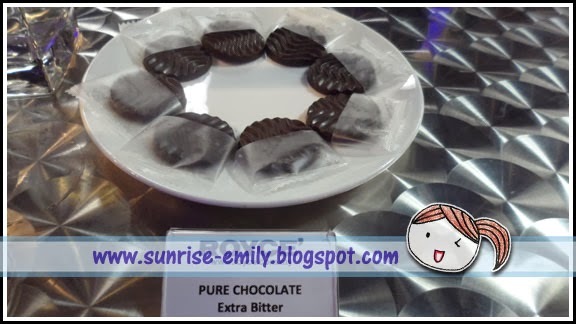 "When pairing wine with chocolate, yu will need to keep the wine sweeter than the chocolate or a lighter chocolate with light bodied wine to give you a smooth and full experience in each pairing." 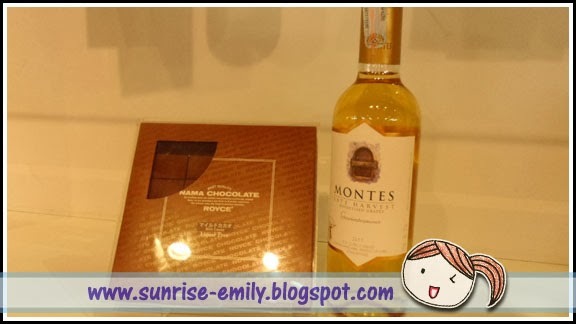 A selection of fine Australian and Chilean wines were carefully selected to accompany six different grades of milk and dark chocolates offered by ROYCE. 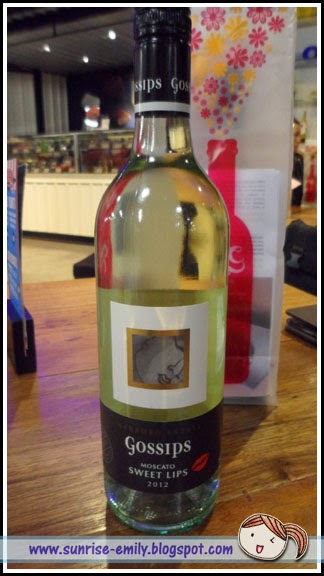 Gossips Sweet Lips Moscato- colour is pale gold with a green tinge, in the nose there is a scents of perfumed rose petal and hints of musk. A full luscious wine with a good balance of sweetness and acidity. Hints of fig in your middle palate. Finishing with a touch of apricot on the end of the palate. 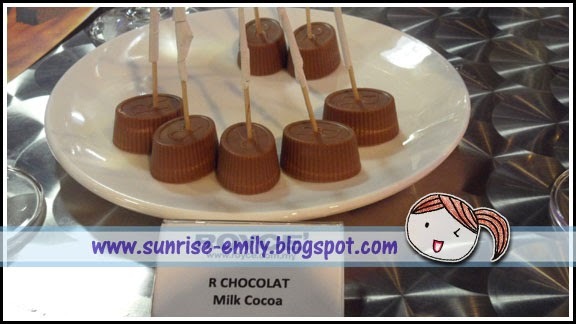 R Chocolat- a creamy milk chocolate is filled with cookie crunch and milk cacao cream, which highlights the flavour of cocoa powder. 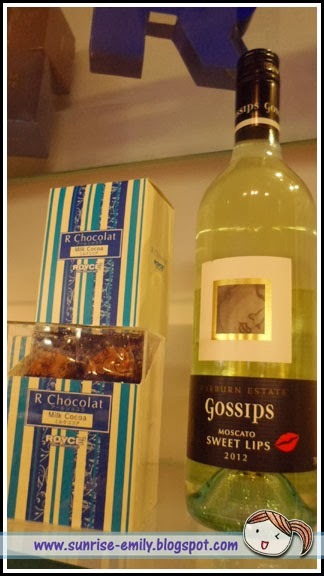 First we have R Chocolat milk cocoa paired with Gossips Sweet Lips Moscato. The combination enhances the body in the mouth by bringing up the flavours of ripe jammy fruits. Rumours Pink Moscato- vivid rose pink in colour and in the nose scents of freshly harvested strawberries. Hints of cherry with flavours of strawberry in the palate and finishing with light spiritz. Bar chocolate creamy milk- a milk chocolate that is abundant with the full richness and creamy flavour of locally drawn Hokkaido milk. Extra creamy milk is added to fragrant milk chocolate, which results in a mild, gentle flavour which permeated in the mouth and fingers on. 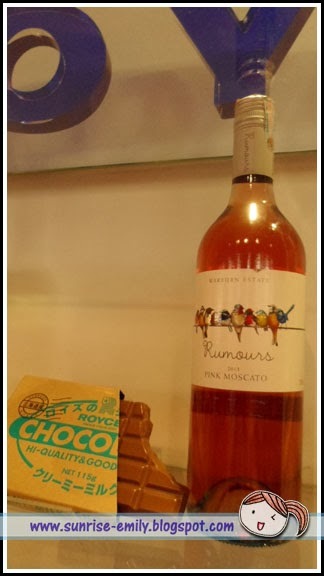 Next, we have Bar chocolate creamy milk paired with Rumours Pink Moscato. 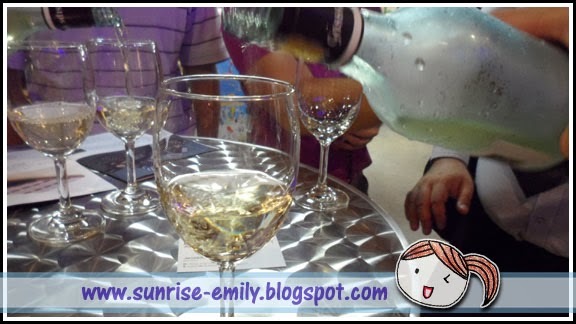 The wine brings out candy flavours with balanced sweetness with acidity in the palate. Montes Late Harvest- a blend of 50% Gewurztraminer and 50% of Riesling. The first conveys apricot and honey flavours, finely combined with the typical mould of botrytis; the second gives the structure, freshness and typical mineral hints. The taste is creamy and full bodied, with a good blance of sugar, rounded by the acidity of Resling. 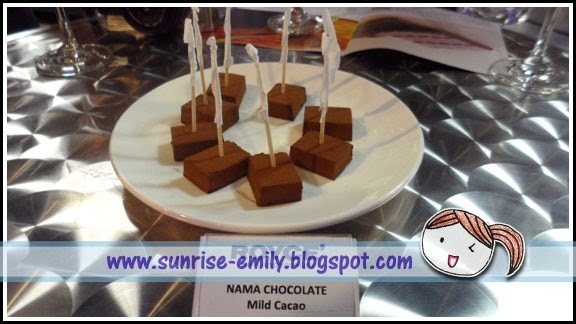 Nama Chocolate mild cacao- no liquor is added to this mild cacao nama chocolate, but the taste of cacao remains conspicious and this allows for an exquisite balance in the Chocolate's overall flavour. Indeed, its essence of cacao, subtlt present here, that lends this Nama Chocolate its very name and expression. What coming next is Nama Chocolate mild cacao paired with Montes Late Harvest. 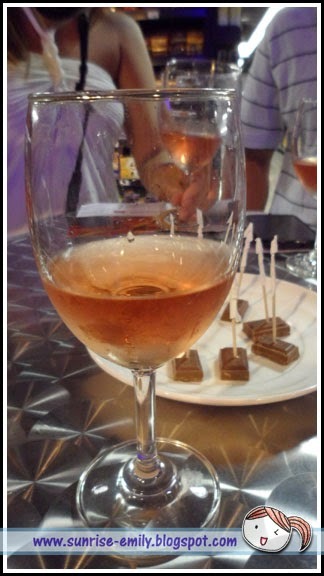 The cocoa from the chocolate intensifies on your palate with the wine. Its cocoa flavours enhanced giving a bite. It finishes strong with an enhanced flavour of dry mandarn orange peel. This gives a strong but sweet bitterness in the palate. 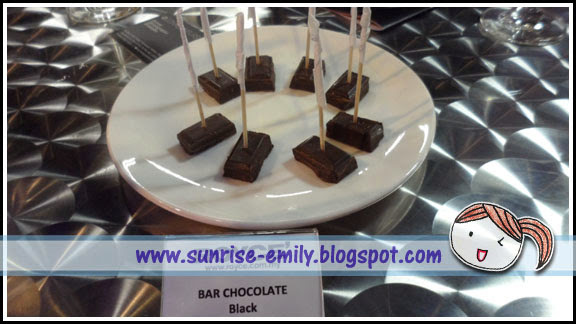 Bar Chocolate Black- a light hearted chocolate that celebrates the bitter factor brought about by cacao as its key ingredient. Both bitter and sweet flavours balance each other perfectly, resulting in an invigortaingly sour taste that permeates the mouth with each bite. 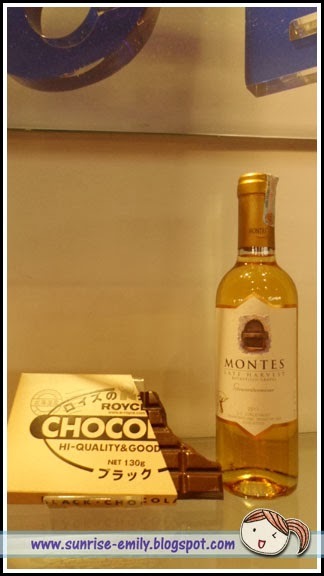 From the start, the Montes Late Harvest pairing with Bar chocolate black brings up the honey flavour in the wine, coupled with an enhanced cocoa flavour. 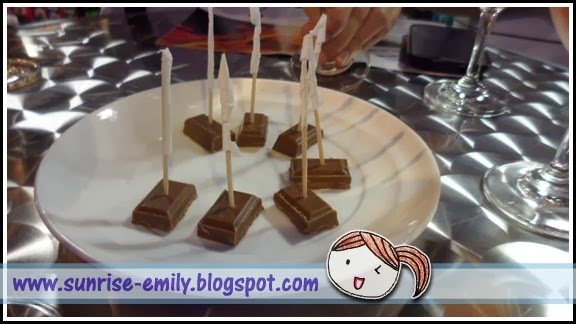 This finishes long with a medley of chocolate and marble syrup. This leaves the palate with a smokey toast at the end. 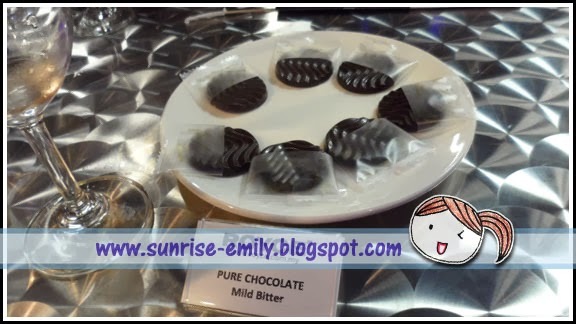 Pure chocolate mild bitter- beautiful facade, weight, shape everything is calculated to enhance the fine texture of these round disc bursting with pure chocolate flavour. The natural bitterness due to high level of cacao composition, 80% found in Mild Bitter. The sweetness of pure chocolate mild bitter blends harmoniously with the sweetness of the Montes Late Harvest .This medley enhances the tannins of the wine. The pairing finishes with a pleasant flavour of Lychee in the palate. It was same as above with pure chocolate mild bitter. 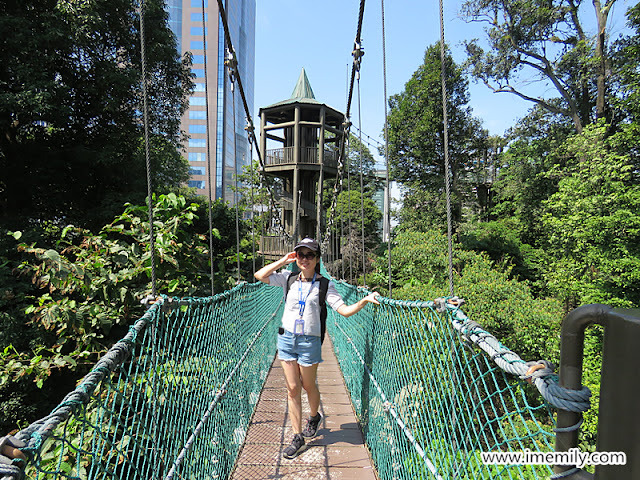 Thanks for the wonderful giftt from Nam Lee Cheong! 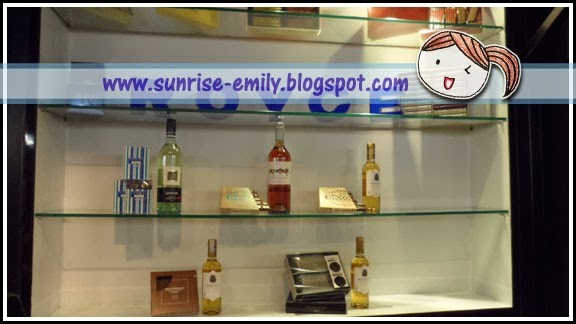 Well guys, if you are interested with the wine and lazy to go out to shop, why not log on to www.wineshop.com.my to find out more? 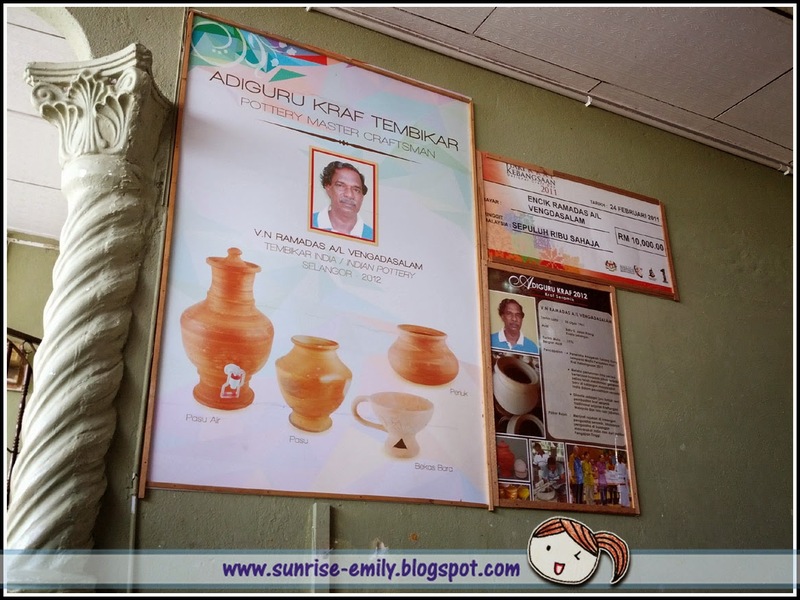 This post is continuous from the previous sharing. If you are looking for a holiday that does not burn your pocket on an island, you could opt for Pulau Besar besides Pulau Rawa. The rate here is more affordable. 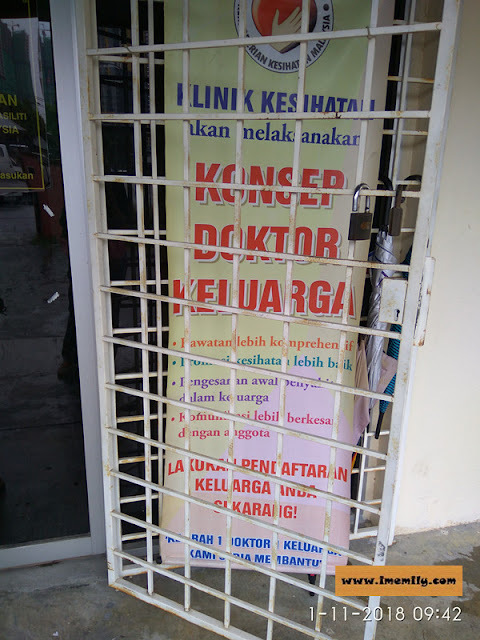 For Pulau Rawa, you have to stay at least 2 nights and therefore no 2 days 1-night package available. Let say we take the cheapest option in Pulau Rawa (Rawa Island Resort), 4 adults per room for 2 nights at Hillside Deluxe, the rate is RM4130. 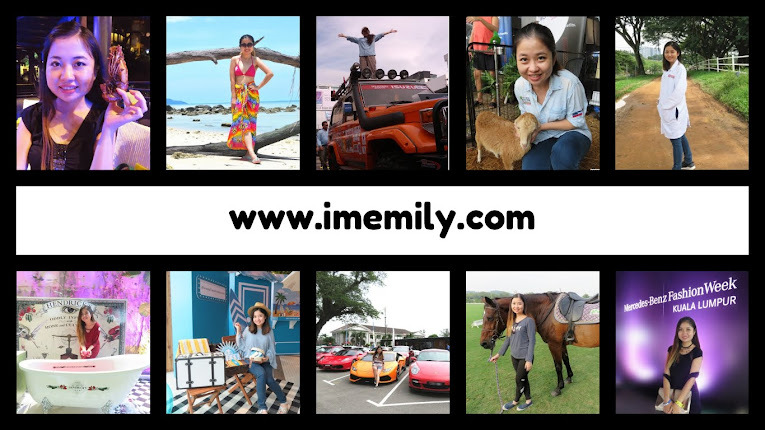 Divided by 4 persons, each and everyone has to pay RM1032.5 for 2 nights, or RM516.25 per night. But bear in mind, no 2 days 1-night option there. 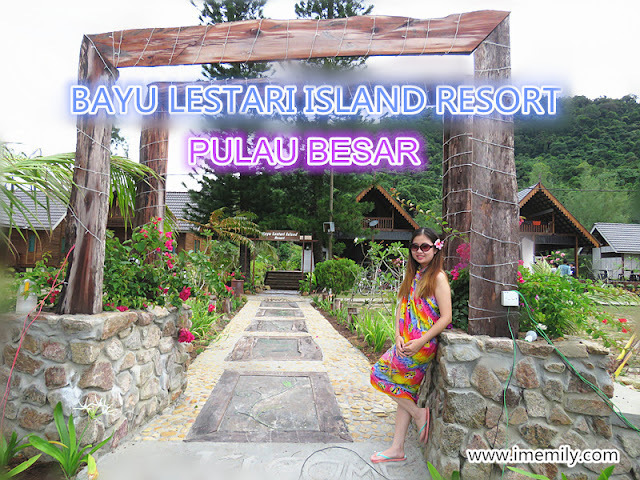 So for Pulau Besar (Bayu Lestari Resort), the rate of 4 adults per room is RM626 per person for 2 nights. 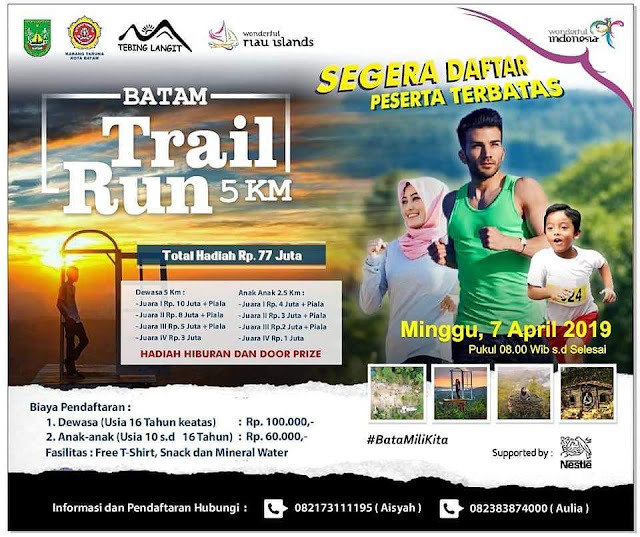 Both offer for 2 nights inclusive of : * Two nights accommodation; * Three daily meals (2 x breakfast, 2 x lunch, 2 x dinner) each person; * Welcome drink upon arrival at the resort; and * Two-way boat transfer to and from Mersing.